Huxley was keen to repeat the LSD experience and did so two months later with Gerald Heard and Al Hubbard. They listened to music, something millions of recreational LSD users have since found to be a source of amazement. Huxley found Bach's B-minor suite to be "a revelation". 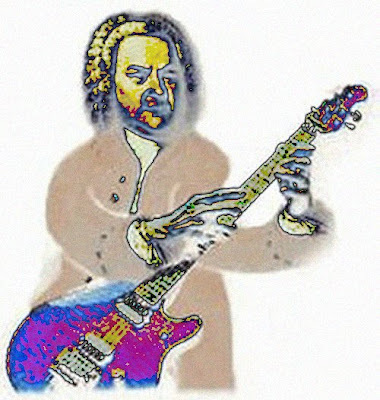 He was so impressed he later wrote to [Humphry] Osmond: "Meanwhile, let me advise you, if you ever use mescaline or LSD in therapy, to try the effect of the B-minor suite. More than anything, I believe, it will serve to lead the patient's mind (wordlessly, without any suggestion or covert bullying by doctor or parson) to the central, primordial Fact, the understanding of which is perfect health during the time of the experience, and the memory of the understanding of which may serve as an antidote to mental sickness in the future". That passage comes from Andy Roberts' Albion Dreaming: A Popular History of LSD in Britain. Its subject, Aldous Huxley, died peacefully on November 22nd 1963, the pain of his throat cancer ameliorated by a tab of acid. Many overgrown paths converge here. LSD as “an antidote to mental sickness in the future” leads to recent posts about musicians and depression, and about Elgar’s LSD connection. Aldous Huxley’s influence was wide ranging: in his memoir about Jiddu Krishnamurti, Michael Krohnen recalls how the great teacher had few memories of the celebrities he had met while living in California, which had included Igor Stravinsky, Christopher Isherwood, and Charlie Chaplin. But he had strong memories of Huxley, who had encouraged the future author in his early writing. That mention of Krishnamurti leads to Pablo Casals, who, as was discussed here recently, was also a friend of the sage. And Pablo Casals brings us back to Bach via Catalonia. 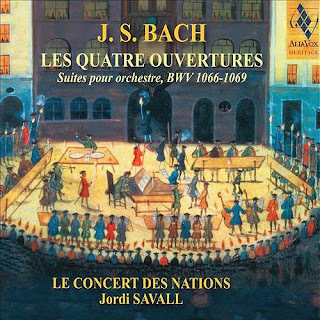 Although Jordi Savall would be my first choice for much early music, he is not a name that normally comes to mind for Bach. But I have been spending time recently with Jordi’s re-released 1990 recordings of the Suites for Orchestra – including the B-minor – and have found them, to quote Aldous Huxley, “a revelation”. Let me advise you, if you ever use music in therapy, to try the effect of Bach’s B-minor suite. More than anything, I believe, it will serve to lead the patient's mind (wordlessly, without any suggestion or covert bullying by doctor or parson) to the central, primordial Fact, the understanding of which is perfect health during the time of the experience, and the memory of the understanding of which may serve as an antidote to mental sickness in the future". 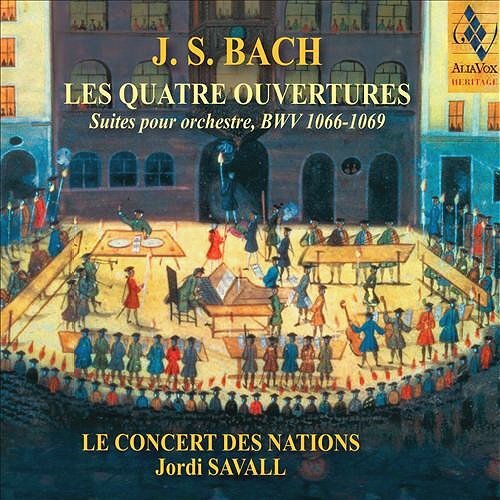 * In this crazy world of converging paths it is worth mentioning that I bought the re-release of Jordi Savall’s Bach Suites for Orchestra at FNAC in Perpignan, which is where Pau Casals recorded many of his legendary Bach interpretations. Any copyrighted material on these pages is included as "fair use", for the purpose of study, review or critical analysis only, and will be removed at the request of copyright owner(s). Report broken links, missing images and errors to - overgrownpath at hotmail dot co dot uk Also on Facebook and Twitter. 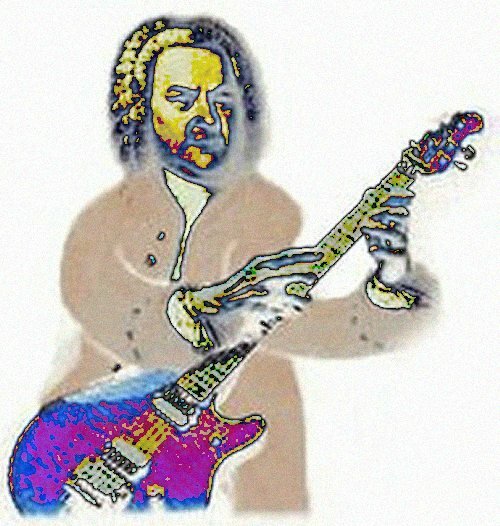 If you don't mind, I would like to publish the quote and the phto on my blog on Bach. Thank you! If you liked Savall's wonderful suites, you should try his definitve recording of the musical offer. This was a revelation for me. My pleasure Hugo, please feel free to use as you wish. Your comment on Jordi's Musical Offering is appreciated, I will look out for it. It's so interesting that in all the LSD studies they pretty much always use music of some kind to catalyze the therapeutic experience. If the current trend of allowing these studies to resume continues, we might learn a lot about how music interacts with the perceptual, emotional (and apparently quite often spiritual) parts of ourselves. I've also seen several stories reporting Ecstasy can have major and long lasting therapeutic value for post traumatic stress, but they don't say whether it's used in a session to trigger something inside the patient or whether it's just taken as a medication.